So you wanna break into the entertainment industry. It’s certainly possible but it takes more than just hard work. Connections, company fit, and current portfolio all play a part in landing that first job. But there’s good news: more jobs are popping up every year as more games & movie ideas get greenlit. These books are some of the best titles on entertainment art jobs. You’ll find topics ranging from storyboarding for animation to 3D modeling and concept art. No matter what you want to do or how you plan to get there, these books can help you plan out the journey and hopefully make it a smoother ride. First on my list is a personal favorite by game artist Sam R. Kennedy. How to Become a Video Game Artist offers a much deeper look into the gaming industry, the concept art career path, and the skills required to get paid doing that type of work. We wrote a detailed review of this book if you’d like to get a peek inside. But ultimately this offers a look into the industry from the view of a paid professional. The tips are especially useful because they come not just from Kennedy, but also from art directors and other artists who work in the field. Different chapters cover different specializations explaining how you might progress down the path of a character designer, environment designer, or towards any other path(props, weapons, vehicles, creatures, etc). Since the book is split into chapters by specialization it’s much easier to skim and find exactly what you’re looking for. This title is probably my #1 pick for anyone serious about game art. Here’s a newer book published by the folks at 3DTotal. It’s also a must-read for any aspiring game artists, but it tackles the subject a little differently. 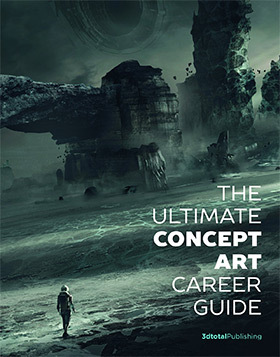 The Ultimate Concept Art Career Guide stands true to its name with over 200 pages of artwork, interviews, and advice from professional artists. The book reads like one-half inspiration, one-half practical guide for students and self-taught artists. You can pick up a lot of industry jargon and tips on how to break into the field by creating a killer portfolio. You’ll find tips on changing your style, matching the mood of a game, and meeting the right people to help you land your first job. I still recommend Kennedy’s book as a primer but this guide works very well as a follow-up with a ton of advice from working artists(both freelance and in-studio). 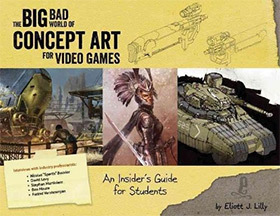 We also wrote a more detailed review of this book if you’d like to learn more on what it offers aspiring concept artists. On the other side of the industry is animation work. This covers a lot of art jobs from character design to 3D rigging, storyboarding, and even the laborious task of visual development art. 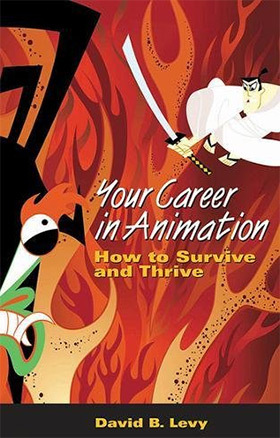 Your Career in Animation: How to Survive and Thrive was first published in 2006 by David B. Levy. David has worked as a freelancer for years aiding larger shows like Blue’s Clues and SNL. The animation world is very different from video games. Most productions are paid for by major networks, or by marketing agencies to create animations for commercials or videos. But almost every career path in animation comes with bouts of unemployment when projects end. This book helps you learn to deal with unemployment, find gigs on the side to pay your bills, and find ways to keep yourself employed with more work than you can handle. With 250+ pages there’s plenty of solid advice here for aspiring animators. Nobody needs a college degree to get into animation. The prevailing opinion is that anyone can make it without any higher education. You just need skills and the right connections. Unfortunately that isn’t something you’re taught in college. 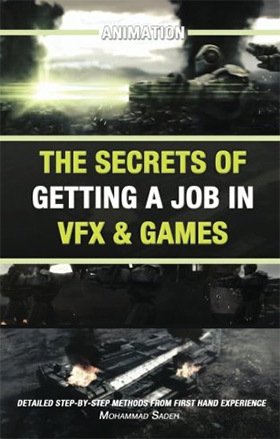 But it is something you’re taught in Animation: The Secrets Of Getting A Job In VFX & Games. Over 120 pages you’ll learn all about the VFX industry for video games. This includes animation jobs that cover 3D tasks like modeling and rigging. From this book you’ll learn how to land jobs at different studios, compete for better pay, and make yourself indispensable to the team. You’ll also learn how to develop a sweet demo reel that’ll have creative directors brimming with confidence at just the thought of hiring you. This may not be the only book you’ll need for a VFX career. But it’s certainly a huge primer on VFX & animation work for the video game industry. 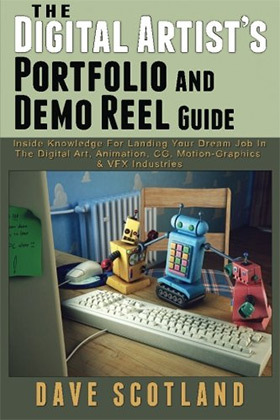 We’ve got another related book on VFX & animation, this one covering more on portfolio development. Author Dave Scotland created The Digital Artist’s Portfolio and Demo Reel Guide for artists hoping to land a job in entertainment art. There’s one main factor in every creative career that you need to consider: your portfolio. It is the lifeblood of every creative director’s hiring process. You need to prove that you’re capable of doing the job and doing it well. This book should be like your north star when developing a portfolio. It’ll help you choose which pieces to keep, which to cut, and how to present your work in an easy-to-consume manner. If you’re stuck trying to develop a body of work that’ll get you hired as a movie or game artist, this is the book you’ll want on your bookshelf. If you want a career in entertainment art then you probably love(or at least know) Pixar Animation Studios. They’ve created some major hit films from Toy Story to Up! and so many in between, all with their own gorgeous artbooks. Want to work on projects like that and create artwork of that caliber? 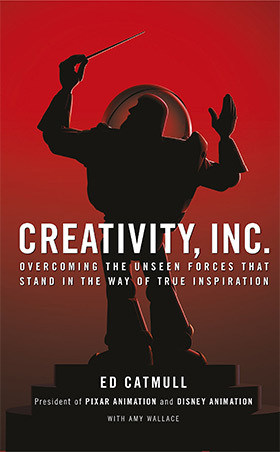 Pick up a copy of Creativity, Inc.
With this book in hand you’ll get to read the entire journey of Pixar along with management tips from animator & Pixar founder Ed Catmull. He shares his thoughts on managing a creative team, how to inspire creativity, and how to foster an environment for creative work. The writing style is super easy to read and the contents are beyond fascinating. True Pixar fans will love this book. Plus anyone trying to work in the animation industry will pick up a lot of solid advice from the president of Pixar himself(including snippets from Pixar’s other founder John Lasseter). 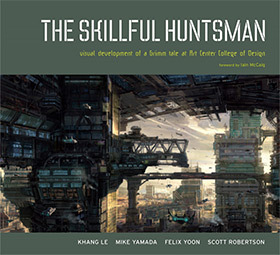 I often recommend The Skillful Huntsman more as a fun read for aspiring creative artists. This is not a true-blue career guide and it may not directly help you land a job. Instead this is a case study from ArtCenter that follows three artists hoping to land work in the field. Each artist has to recreate work from popular fairy tales, and through this book you get to see their entire process along with instructor commentary. Reading this book will not immediately help you make better art. But hopefully this can help you see creative work through the eyes of a student. You’ll come to understand how different ideas manifested from scratch and what you might do differently given similar tasks. 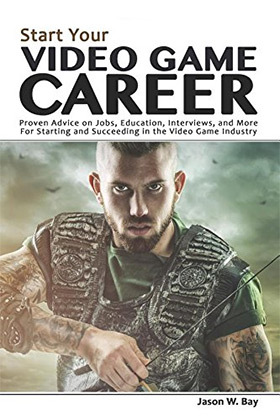 Start Your Video Game Career is the newest book in this entire list. First published over the summer of 2017, this offers an exclusive look inside the gaming industry with practical tips for aspiring artists. Over 124 pages you’ll be taken through an entire crash course on landing a job with tips from industry expert Jason W. Bay. You’ll learn how to choose a career track that fits your goals, how to build a catchy portfolio, and how to actually find job openings that you can apply for. As an outsider this can be one of the hardest tasks(hint: it helps if you know someone). This book forces you to think of your art career like a business. Which it is! You need to consider salary, health benefits, long-term employment, and working environments. 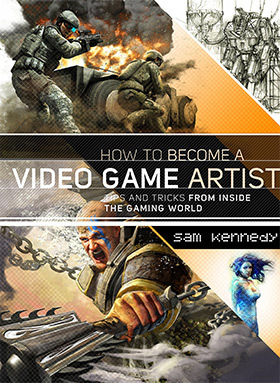 Everything from internships to mentorships gets covered in this tome of information for aspiring video game artists. Storyboarding is a detailed job and a necessity for all forms of animation. Both 2D and 3D animation rely on storyboards so this job is definitely in demand. There are so many great books on this subject but Storyboarding Essentials is one of my favorites. This covers the whole enchilada of storyboarding from what it is to how you can practice, how to improve, and how to land a job. Many artists eventually choose to work as freelance board artists so it’s a fantastic career to take with you on the road outside the industry. Plus many video game studios also hire board artists. With these skills you’ll have your pick of projects and career paths to chase. 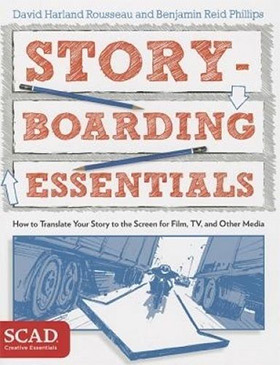 Storyboarding Essentials is a solid guide for anyone serious about a career in boarding. Easy writing style, plenty of practical advice, and it’s something you can re-read many times over and still pick up new bits of info. If you wanna browse even more storyboarding books have a look at our top picks and see if any stand out. Last in my list is quite a doozy. You could even argue I’ve saved the best(or one of the best) for last. Big Bad World of Concept Art for Video Games truly covers everything you need to know about a career in concept art. The author Eliott J. Lilly works as a professional artist and has many friends also working in the industry. Throughout this 144-page bible on concept art you’ll learn real world techniques you can apply to your designs. But you’ll also read about crucial behaviors you need to adopt for landing a job, making friends in the industry, and building some job security. In a word, this book is blunt. It doesn’t mince words or mollycoddle the subject. Becoming a concept artist really is tough and it’s a very competitive field. If you can stand out from the crowd and do great work(on time!) then you’re at least halfway there. Finding the right contacts, job opportunities, and keeping consistent work is the other half of the battle. This book will teach you everything about the career and it’ll help artists who are truly determined to find a way to break in. You can learn more about Eliott’s awesome book in our full review covering a lot more detail and a full chapter list. Granted these are just some of books available on entertainment art & career tips. And truthfully these are some of the best! However these can only share knowledge of the field. It’s your job to put that knowledge into action to land a job and get yourself into the industry.